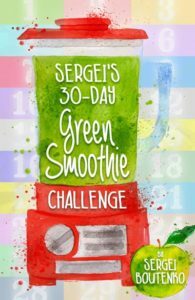 30-Day Green Smoothie Challenge is a detailed 41-page eBook, which outlines my popular online challenge: drinking a quart of freshly made green smoothie every day for a month. 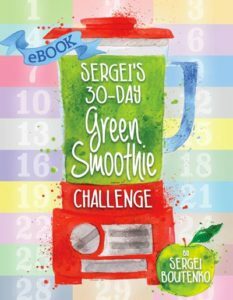 This book gives all the tools you’ll need to complete a month of smoothies. 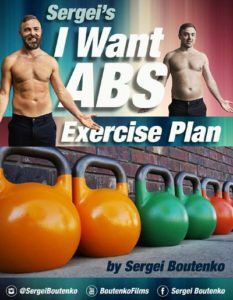 This is a comprehensive 70-page eBook about the exercise routine that I followed during the making of my 2015 film titled: “I Want Abs.” This eBook is a culmination of tried-and-true experience, expert opinion, and 15+ months of fitness research. 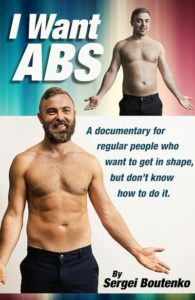 This is a detailed 61-page eBook that describes my current diet. 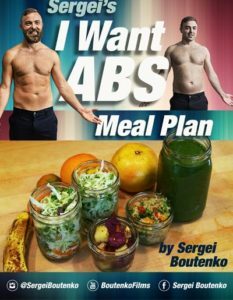 This meal plan is the exact same one I followed during the making of my 2015 film titled: “I Want Abs.” All calories aren’t created equally. 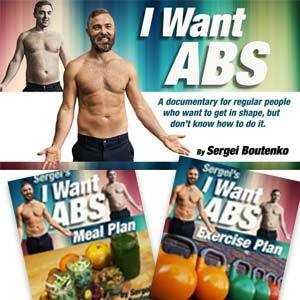 This diet produces real results! This 8-page eBook covers important topics such as safe harvesting locations of the cattail plant, harvesting techniques, poisons lookalikes, and survival applications. 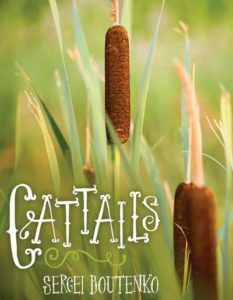 Read this eBook and learn how to incorporate cattails into your meals. 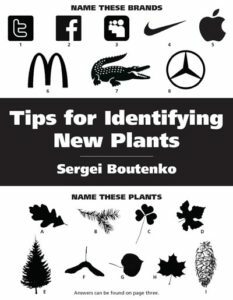 This 8-page eBook will teach your how to recognize plant patterns. Learning about the shapes, textures, and patterns of plants can take the guessing out of foraging and make wild crafting a more enjoyable and safe. 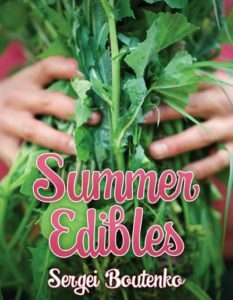 This 11-page in-depth eBook guides readers through my five favorite summer wild edibles. These super nutritious wild-growing plants will boost your immune system and expand your cuisine options. They also tastes fantastic! This 15-page eBook will teach you how to identify and harvest nature’s most delicious berries. 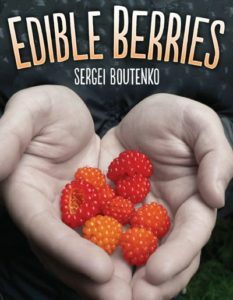 In this book I cover: blackberries, salmonberries, raspberries, thimbleberries, wild strawberries, huckleberries, gooseberries, and currants. This 18-page eBook is a feast for the eyes. 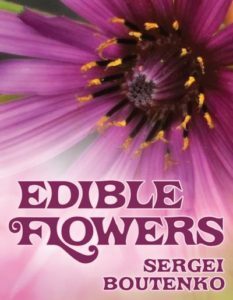 It’s filled with gorgeous color photographs that show off 14 different wild edible flowers and help readers identify these awesome gems in their local environment. It’s time to eat more flowers! 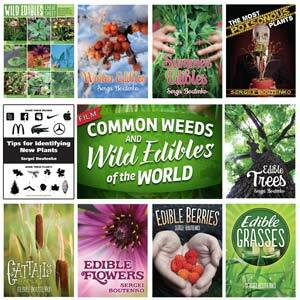 This 13-page eBook covers plants one should avoid when foraging for wild edibles. Knowing these plants will make foraging a safer experience for you. 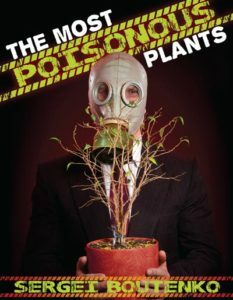 Several of the most poisonous plants covered in this book are well-known flowers. This 10-page eBook has many helpful charts and photographs that make identifying grass extra easy. I discuss the best locations for harvesting and explain how to access the tender, sweet nodes that hide inside the elbows of grass stems. 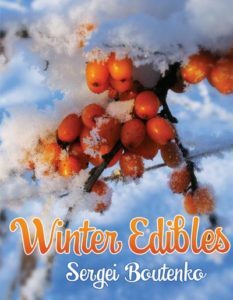 In this 9-page eBook, I cover three radially available winter wild edibles. Read this book to learn what you can forage for during the colder months of the year. When most wild edibles are not in season, these survival plants could save your life! 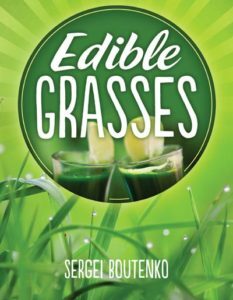 In this 10-page eBook, I cover six different edible trees and talk about the parts that are safe to consume. In a survival situation, knowing which trees are edible can be extremely beneficial. 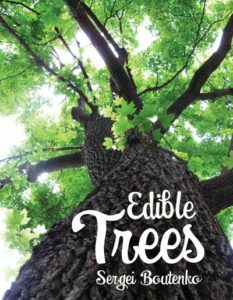 Read this book and become an expert on edible trees. 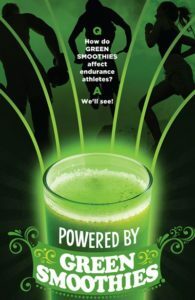 The new and improved 30-Day Green Smoothie Challenge movie is here! I took in all of the feedback that I received from my first YouTube challenge and created a much better, user-friendlier version. 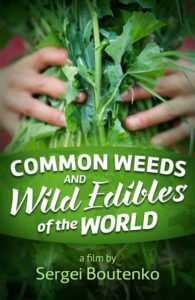 Common Weeds And Wild Edibles Of The World is an instructional video on how to safely and sustainably harvest, clean, and prepare the most common wild edibles. Foraging can be safe and fun if you do it correctly! help you harvest plants safely and responsibly. and shed light on my current diet.